Patent transactions in a domain can reveal many overlooked insights — Insights that your competitors might not be paying attention to when crafting their research and development strategies, or when planning a new business model, or even while simply performing a market analysis. Take the example of smartwatches. Recently released Apple Watch series 4 is now an FDA approved medical device with features like heart rhythm monitoring, ECG, and low heart rate alerts. According to CB Insights, the first hint of Apple’s interest in the medical domain could be noticed as early as 2014, the year they launched their Health app and HealthKit. Apple’s previous patent filings, the launch of the first Apple Watch in 2015, and later the acquisition of the startup Glimpse were a clear indicator of their plans of venturing into the healthcare domain. Not just Apple, many other smartphone companies have ventured into the healthcare domain in recent years. These smartphone manufacturing companies might not have seemed like a threat to the companies in the healthcare domain a few years back. However, now the outlook has changed as smartphone companies have infiltrated medical devices domain with full force. While we are talking about smartphone companies, we ought to mention the venture of Google into the domain. The search engine giant even after the acquisition of Android did not seem like a direct competitor to the smartphone companies. 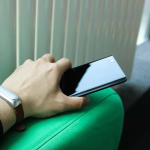 Their preliminary attempts to enter the smartphone market were supported by other brands such as Huawei, LG, Asus, and HTC. In 2011, Google acquired Motorola for $12.5 Billion. After taking over Motorola and its patent portfolio, Google launched multiple devices under Motorola’s brand name. Once Google had enough leverage over the market with their brand name and Motorola’s patent portfolio, Google sold off Motorola to Lenovo for $2.91 Billion, calling the deal a “Success”. Google wasn’t a big player in the smartphone market, but after acquiring patents from Motorola, they emerged as one of the strongest players with the launch of their first official smartphone ‘Google Pixel’ in 2016. Motorola’s acquisition in 2011 gave Google enough resources to launch its own smartphone in 2016. This acquisition might have served as an early indicator of an upcoming competition for other smartphone companies. Indicating upcoming threats is just one of the benefits of monitoring patent assignment and reassignment activity in your domain. There is more. Let’s have a look at some of the other insights which can be unraveled by keeping a track of patent assignments in your domain. Do you remember Uniloc’s case against Apple in June of 2017? The patent in suit was US7690556B1, related to pedometer technology. Uniloc had acquired this patent in May 2017 and after suing Apple in June, it moved on to other companies like Samsung, Huawei, and LG to claim royalties for infringing this patent. 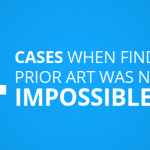 These kind of litigation cases are more common than you might think. PAEs acquire patents for the sole purpose of asserting them against other companies. If a lot of patents in your domain are being reassigned to PAEs, it won’t be too farfetched to expect a sudden rise in litigations in your domain. Responded Deepak, Director – Operations, when I had a discussion on the matter with him. “You will either buy a good gun yourself (buy patents) OR you will increase your security (do clearance searches/FTO) to protect yourself”. When a lot of PAEs are buying patents in your domain, you can run a product clearance or freedom to operate search, and if you find any holes, you buy stronger patents to fill them. PAEs act fast, Uniloc sued Apple within one month of acquiring patent ‘556. If you spot a lot of PAE activity in your domain, it is important that you act fast too. High patent acquisition activity is often a great indicator of rapid technology movement in a domain. If a lot of patents are being purchased, this could mean that there’s a great possibility of new products or technologies appearing in the market in the near future. Take the banking industry for example, which hasn’t seen any big technological disruption in the past decade. Up until recently when blockchain tech surfaced, the patent activity in this domain started rising again. Now, it wouldn’t be too surprising to see if these companies start acquiring blockchain startups or patents to incorporate this new tech in their business. If you’re from the finance domain, keeping a tab on these acquisitions and patent re-assignments can easily give you an idea about upcoming products/service by your competitors. It works the other way around too. If a lot of patents are being sold to other companies, it could mean that particular technology is getting outdated and companies in your industry (your direct and indirect competitions) are not finding those patents worth keeping. A portfolio with outdated technology patents is going to become a liability on your budget. These acquisitions can give you a great hint about tech trend of your domain. Analyzing the possible reasons for these patent sales can put you on the right path and help decide which patents you should keep and which you too should sell. In the next section, I’ve explained how similar insights can help you understand your competition’s behavior and future moves too. It can also tell you a lot about your industry’s dynamics. 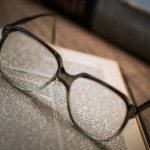 Patent assignments can warn you about the upcoming competition. 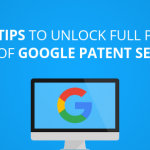 Quite similar to what we’ve mentioned in the above paragraphs, if a lot of patents are moving out of your domain, it could also mean that you could expect new competition in the market. 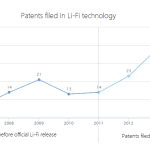 Companies acquire patents to quickly get an edge in a new market. Let’s retake the example of the smartphone companies that entered into the medical domain. These companies were not a real threat to the medical device domain, but, here we are where most of these smartphone manufacturers have launched their own smartwatches, integrating capabilities of multiple medical devices in their watches with additional functionalities like voice support and digital assistants. You can look at it from a geographical perspective as well. Companies that are in similar businesses as yours, but in a different country can easily acquire patents in your country and stand right next to you as new competition. This is exactly what happened in the smartphone industry when Xiaomi decided to expand globally. Xiaomi acquired thousands of patents to expand their product lines in the US and other countries and now is the fourth biggest smartphone manufacturer across the globe. This can happen to your domain too, where a company that currently is not your competition might end up taking a major space in your market. If you were wondering, what can be done about it, there is no need to worry. Clearance or FTO searches are a great way to ensure that your products don’t cross path with someone else’s patents and invite a lawsuit. Patent assignments can also tell you about possible future moves of your competitors, technology areas that they might be planning to move into, or are securing the path for their upcoming products. Relevant strategy: If you see a lot of new companies moving into your domain, you can analyze the patents in question and build new products or improve your existing products to maintain your edge in the market. What if your competitors are selling a lot of patents? Patent sales from your competitors could derive multiple conclusions. Companies often sell patents that don’t seem to be of enough value to them. If a lot of patents are moving out of your domain, it could mean that your competition is moving ahead from that technology. This is called patent pruning. When you get rid of the patents that are no longer valuable to you. It could be because the technology covered by those patents does not align with your current business goals. It could also mean that these patents are covering obsolete technology and getting rid of them will be a wise move. 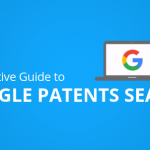 Analyzing these patents can help you create better strategies for your portfolio. It could help decide whether you should also get rid of these patents or not. If the patents in those assignments seem valuable for your product lines, you can attempt to buy those patent yourself too. (Which might be a bit tricky, seeing that it’s your competition who’s selling the patents). There’s one more interesting insight that could come out of analyzing your competitor’s assignment activities. It could reveal whether they are collaborating with other companies by exchanging patents. In such a case, analyzing the patents exchanged could give you an idea about upcoming products too. What if many patents in your domain are being held by Banks? PAEs are not the only foreign assignments you’ll see when analyzing your domain. Sometimes small startups or individuals often take patent-backed loans and invest those funds in their business. That way, a lot of patents gets assigned to banks and these patents hence stay under the radar for an extended period of time. The question that you might be asking now is — how can you use this information? The obvious thing this type of reassignments tells you is that the owner of the patent probably needs money. The interesting part is what for? You see, startups or medium-sized companies often take IP backed loans to arrange funds for their upcoming products or business expansion through other areas. It could also mean that they are struggling to stay afloat financially and trading their patents are one way for them to stay in business. In 2013, Netlist, one of the leading manufacturer of cloud computing and storage hardware, received an investment of $15 million from Fortress Investment Group. The loan was backed by some of the Netlist’s patents covering high performance and hybrid memory solutions for cloud computing. — Netlist mentioned in their press release about the new finance deal. This deal helped Netlist develop their products and grow their cloud computing technology without relying on other forms of financial sources that might have affected their revenue streams. Netlist later landed a licensing agreement with Samsung Electronics sometime in 2015. This case is a great example, which highlights how keeping an eye on companies taking IP backed loans can become a great indicator of their growth plans. One thing that you should keep in mind though is, banks only give loans over the patents after thorough due diligence. These are high stake deals and the patents involved in these loans are generally of high value. Acquiring or licensing those patents could prove quite valuable for your business. 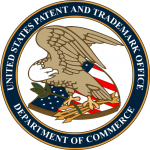 Patent assignments can shower you with important competitive insights that you would have otherwise overlooked. How else would you know about the PAE activity in your domain until it’s too late? How else will you tell where your competitors are headed with their products until they have already launched their products? 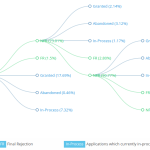 Competitive patent analysis can help you answer these questions, but you will still miss a lot of crucial insights if you miss capturing the patent assignments in these analyses. Analyzing these assignments adds another dimension to your competitive analysis efforts and helps you form better, more accurate business expansion strategies.